Treat your bundle of joy to a DockATot, and be wowed by its comfort, portability, and luxe style. Whether you’re a first-time parent or a mother of multiple kiddos, your child deserves the same treatment as a celebrity baby. Give them the proper care they need! 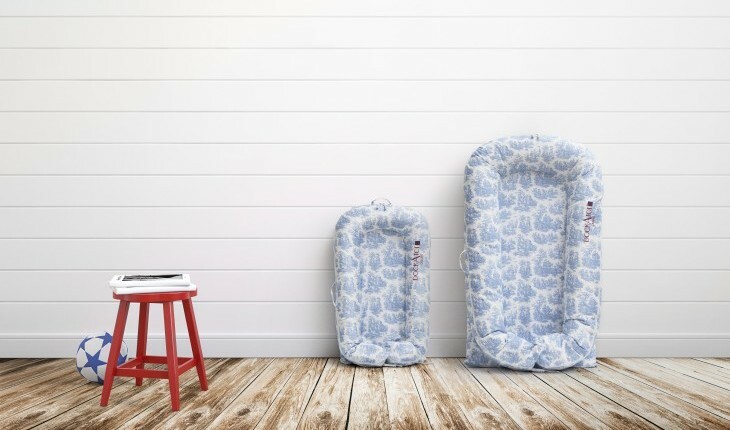 The DockATot is a staple for all growing babies and is loved by moms everywhere, and has been called “A blessing for baby and parents.” Celebrity moms like Kim Kardashian, and Lauren Conrad all rave about this must-have baby product! This ergonomically designed lounger will make your life easier, and will provide your little one with a safe, snug, and soothing place to kick back and relax. If you’re looking for a product that will truly change your baby’s life, you need a DockATot lounger. In exciting celebrity baby news, 29-year-old actress Megan Fox showed off her baby bump, effectively announcing her pregnancy, in a form fitting black dress and jacket combo at Monday’s CinemaCon in Las Vegas. Fox was there to promote the Teenage Mutant Ninja Turtles sequel. According to People.com, Fox filmed her role in the midst of her celebrity pregnancy. 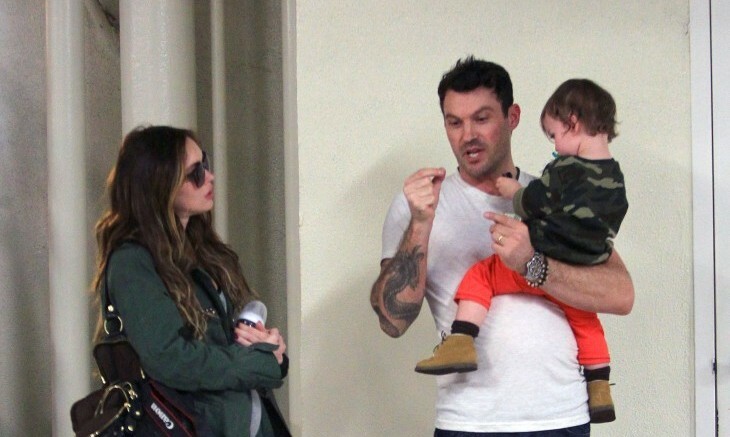 Fox has not revealed details regarding if the father of her third celebrity baby is her estranged husband Brian Austin Green. Regardless, we can’t wait to see this celebrity baby and Fox’s two other children, Noah Shannon Bodhi Ransom all together! This celebrity baby news has us scratching our heads. What are some ways to cope with an unplanned pregnancy? …Keep reading to learn more about how to handle unplanned pregnancies. Design your baby's room with style and safety in mind with Lorena Canals Rugs! This post is sponsored by Lorena Canals Rugs. Your favorite famous couples aren’t the only ones living in luxury. Their celebrity babies enjoy their cozy and stylish bedrooms just as much. Stars like Chrissy Teigen and Kim Kardashian are head over heels for Lorena Canals rugs, both owning the Galleta. 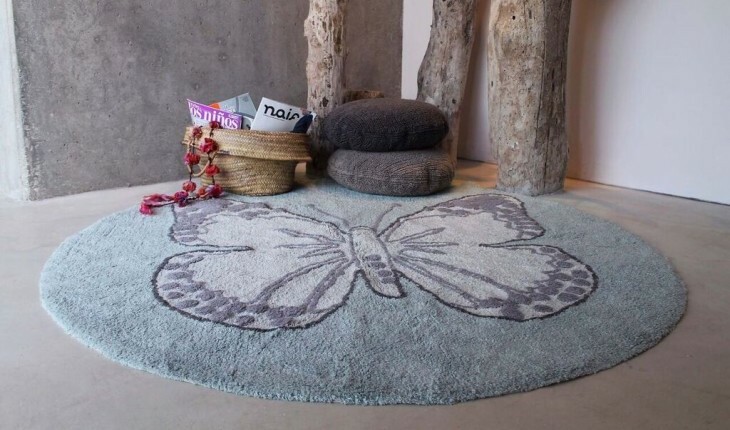 If you’re looking for some parenting advice on how to style your child’s room, add that chic and comfy look with safe and eco-friendly rugs from Lorena Canals. …Want to know more? Click here! Take a cue from your favorite celebrity couples and their celebrity babies, and use DockATot to help your child sleep peacefully! This post is sponsored by DockATot. 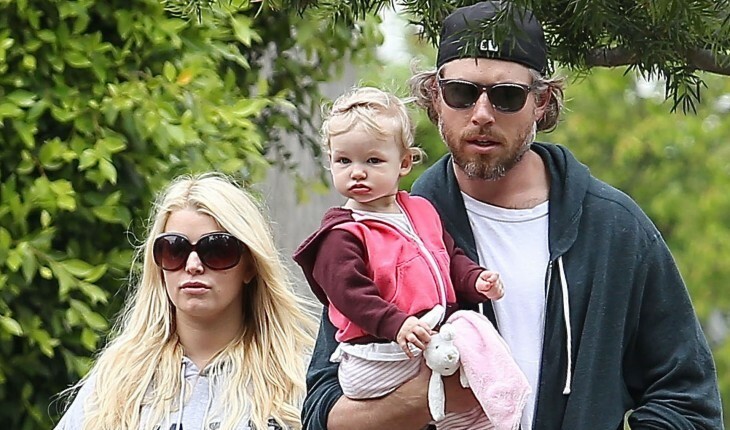 Ever wonder how celebrity babies like to relax? Look no further than the DockATot baby lounger! If your child struggles to get comfortable during their daytime naps or even while they’re in their crib or your bed at night, this lounger will help them get the rest they need. Plus, you won’t have to worry about their safety: The ideal hygienic microclimate mimics the womb, and the lounger is 100 percent breathable. …Don’t miss the rest! Click here for more. As we change diapers, diapers can also change us. In the latest celebrity news, One Direction’s Louis Tomlinson is expecting a celebrity baby with L.A.-based stylist Briana Jungwirth. 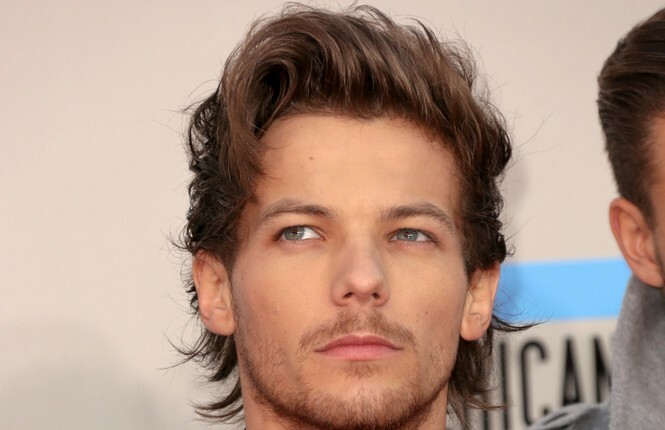 Fatherhood for Tomlinson was, of course, unforeseen, but luckily he is thrilled about bringing a celebrity baby into the world, according to UsMagazine.com. Both Tomlinson and Jungwirth are looking forward to partaking in this changing experience. 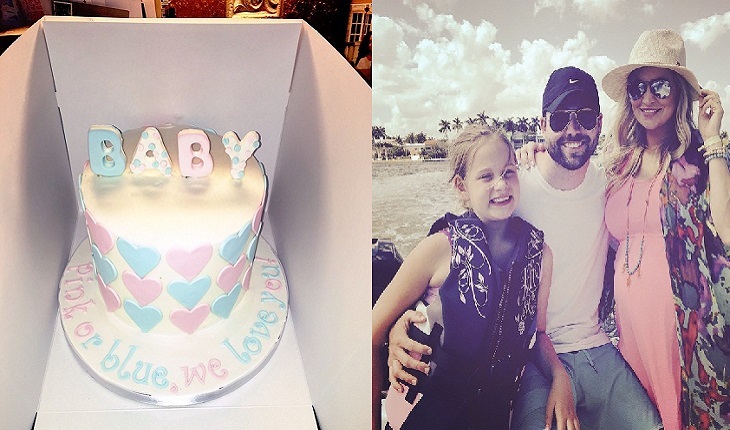 This celebrity baby was a surprise, but a happy one! What are some ways to cope with a surprise pregnancy? Some celebrity pregnancies aren’t happy occasions. What are some ways to announce your unexpected pregnancy to family and friends? It is celebrity baby season! UsMagazine.com confirms that Sons of Anarchy star, Theo Rossi, is expecting his first child with wife Meghan McDermott. This soon-to-be first time dad is not nervous at all, but rather he and McDermott are “really excited” about their celebrity baby news. 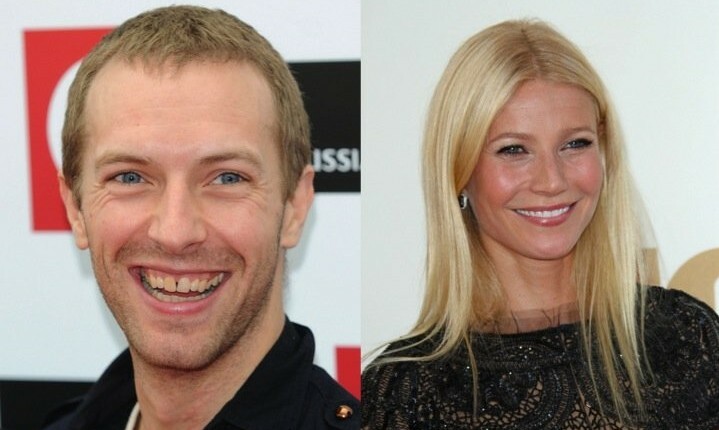 The married celebrity couple’s baby is due in June. There’s no lack of celebrity babies in Hollywood right now! How do you know whether to have another child with your partner? …Want to know the rest? Click here. Even celebrity babies cause their moms to struggle with getting back in shape. What are three ways to get secure with your post-baby body? …On the edge of your seat? Click here for the rest. Gaiam Product Review: Stay Fit During Pregnancy with Desi Bartlett! Love advice: Learn how prenatal yoga with Desi Bartlett can benefit your relationship & love in this Gaiam product review. Photo courtesy of Gaiam. This post is sponsored by Gaiam. Learning how to listen to your body is of the utmost importance, especially during pregnancy. While you’re waiting for your bundle of joy to arrive, prenatal yoga will calm your mind, relax you, and build your endurance to prepare you for the journey of motherhood. To help pregnant women everywhere, Gaiam has teamed up with renowned yoga expert Desi Bartlett to create a new workout DVD called Prenatal Yoga Workout with Desi Bartlett. With our product review, find out how you can stay calm throughout your pregnancy and learn some helpful love advice for you and your honey during this time! …On the edge of your seat? Click here for more! Former 'Bachelorette' Emily Maynard shares photos of her celebrity pregnancy & celebrity baby shower and showcases her relationship and love. Photos courtesy of Instagram. This Bachelorette star is having fun during her celebrity pregnancy! What are some pre-baby activities you and your partner can do to make this time special? 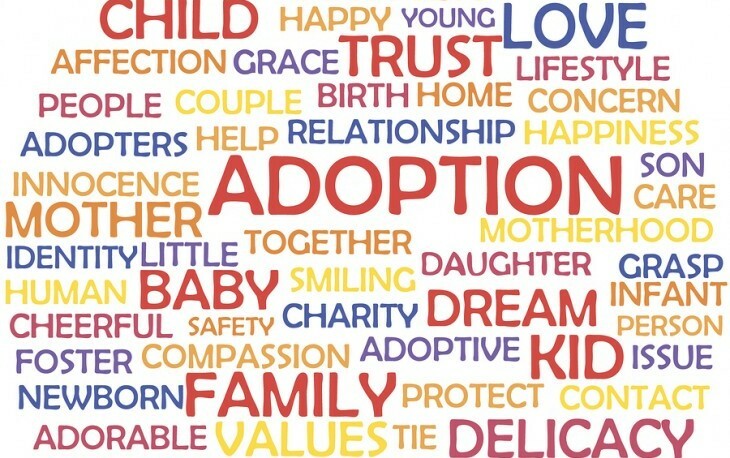 You and Your Significant Other Can’t Have Kids: Should You Adopt? In spite of the naysayers who were telling me to not bother spending money to see Jersey Boys, I decided to go see the matinee (it was cheaper, of course). And I was glad that I ignored the unfavorable critics. I thought it was an excellent movie: good acting, touching story of poor boys making it big, and music that had everyone clapping, tapping their feet, and enjoying songs from their youth. I anticipate seeing it at least another two times and even buying the DVD when it comes out. …Want to know more? Click here to continue. Co-parenting and planning summer visitation with teenagers can be challenging and emotionally draining. 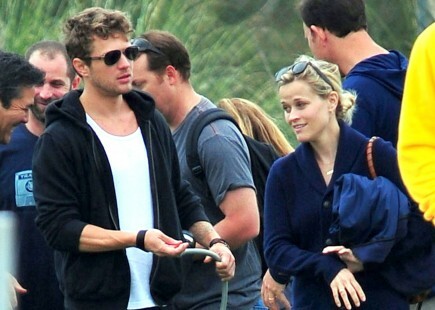 Hopefully, plans can be worked out peacefully with your ex-spouse — consider Reese Witherspoon and Ryan Phillippe for a celebrity example — but there are many who are not so fortunate. The error comes when parents choose to not give their teenagers a voice in planning their time. They don’t stop to think about the consequences that occur when their teenagers aren’t able to participate in activities and events that are important to them, through no fault of their own. …Excited to read more? Click here! 1. Every day alone time: Who says you can’t have a date every day of the week? Believe it or not, it’s possible! Join your partner in something that is a part of their daily routine, whether that means an early morning workout or late evening planning session. Quality time with your partner can make a huge difference, especially if you are doing something that brings you together at the start of each day and/or at the very end. Maybe even put the kids to sleep at an earlier time just to have that hour or so to wind down together. 2. Weekend getaways: A short vacation is not only what you may need individually, but also as couple. Work can definitely become overwhelming and you just want a day (or two, maybe three) to sit back and enjoy each other’s company, without the pressure and stress of work interfering. A trip to a cabin or a resort sounds nice, right? 3. Amusement park: Married couples tend to become accustomed to the the following routine: work, kids, sleep, repeat. Sometimes it’s easy to forget what fun feels like. An amusement park is a great place to channel your inner child. Take your spouse on a date to a nearby theme park – enjoy the roller coasters, attractions and games, but most importantly don’t forget to laugh! 4. Dance night: What better way to show off your moves than dancing? Schedule a night for dancing it up at your local club. Try something as sassy as salsa or as precise as square dancing. The goal in all of this is to simply have fun. 5. Fishing: Envision a nice day out by the lake, relaxing in a chair, with a fishing rod in the water awaiting a tug. Hardly any disruptions besides the noises of nature and sound of the water. You and your spouse will temporarily be worry-free. 6. Park picnic: One of the most classic (romantic) dates of all time is a picnic in the park. Create a basket full of you and your partner’s favorites, maybe take an activity you will enjoy (frisbee, kites, etc), and voilà! Maybe even consider bringing the kids along and making it a family day. 7. Pick a hobby: Choose an activity that the both of you love to do together. Perhaps yard work, such as gardening or mowing, is therapeutic – use this as a bonding experience and call it a date! 8. Pamper & Polish: Every once in a while, your sweetheart deserves a little TLC (tender, love, and care). Why not be the one to give it to them? Schedule him/her a session at a local spa or create your own at-home spa. If you would rather channel your inner romantic and set up your own spa, here are a few tips: make sure the environment is set nicely – well-lit and scented, relaxing music, and full of peacefulness. Then, give them the best massage they could possibly imagine (with the help of your favorite scented oil). They will appreciate the thought and touch. 9. Comedy show: Laughter is good for the soul, right? Search for tickets to your favorite comedian’s show and ask your honey to join you for the night. Get a few laughs in while enjoying the evening. 10. Road trip: Hop in the car and GO! A road trip entails lots of jokes along the way, singing songs on the radio, sightseeing, etc. Make a day out of it – travel down the roads with the most scenery. Take photos to capture the memories and most importantly, enjoy the ride. Have any tips for being a more confident parent? Tell us in the comments below! Divorce is one of those life events that forces huge changes in your life, whether you like it or not. During a divorce, a decision will need to be made on living arrangements. Let the court decide who needs to move out and what will happen with the home. Sometimes, one spouse will offer to move out but wants their part of the equity in the house. The partner who stays put may have to put it up for sale in order to pay the other partner unless they can refinance, thus adding the amount of equity onto the mortgage. I don’t know about you, but for me, the winter months are often the hardest to get through. Sometimes, it feels like all I can do is grit my teeth and survive! The snow falls, which is great the first several times, but then it starts to get annoying. The sun rarely shines because of the inversion, and, no matter what I do, I’m freezing all the time. In this week’s Single in Stilettos show, founder Suzanne Oshima talks to author and lifestyle expert Kerri Zane about dating as a single mom. Zane knows from personal experience just how hard it can be for single moms to enter the dating world. In 2001, her 12-year marriage fell apart, leaving her feeling scared and unsure about the future. During her post-divorce journey, she learned how to forgive herself, how to listen to her intuition, and how to embrace her power to make her own choices. Related Link: Would You Date a Single Parent? Now, Zane wants you to live happily ever after too. In this video interview, she answers questions like: When is the right time to start dating again? How do you balance dating and parenthood? How do you tell a new guy that you have kids? And how do you handle men who don’t want to date single moms? For more information about Single in Stilettos shows, click here. Cupid wants to know: What’s your best dating tip for single moms? …On the edge of your seat? Click here for more. After a divorce, many holidays can be depressing, and Valentine’s Day can be the most depressing of all. The media promotes this day for lovers, and those not in a relationship — or just getting out of one — may feel left out. The holiday can also leave you feeling as if something’s wrong with you because you don’t have someone special to share it with. But don’t worry — you can still have a happy Valentine’s Day! …Want to know more? Click here. What to consider before filing for divorce. Photo: CandyBox Images / Bigstock. Families come in all shapes and sizes. Some married couples live together with their children. When those children grow up and move out of their parents’ home, does that mean that they are no longer a family? Some married couples with children don’t live together because of their work commitments and for other such reasons. Does that make them any less of a family? Religious beliefs aside, some couples such as Goldie Hawn and Kurt Russell have children together, but were never married. Aren’t they still a family? Married couples with children sometimes divorce. Does that mean that they are no longer a family? If you think about it, the nature of their relationship changed from being married with children to being unmarried with children. I’m afraid that when a couple has children together, their marital status does not control their status as a family. Many may define a “perfect” family as one in which the parents are married and in love with each other. I opted to use the word “perfect” because that was the term and definition used by a minor child of divorce, who was interviewed in a documentary film by Ellen Bruno titled “SPLIT.” While his family may not be “perfect,” as defined by him, I promise you he still considers it a family. How do you plan on staying warm for the rest of winter? Tell us in the comments below!